Greg Robinson’s practice is concentrated in the area of labor and employment law. He has counseled clients on a wide array of employment matters, including wage and hour disputes, discrimination charges, and issues involving non-competition agreements. He has assisted clients in drafting hundreds of severance agreements covering dozens of jurisdictions across the country. 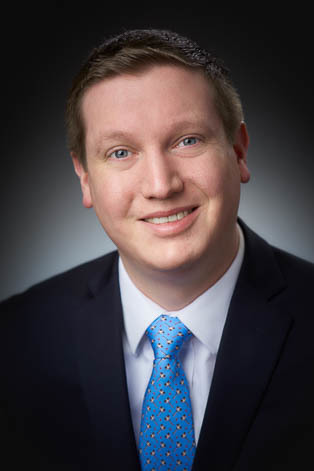 His background in government service allows him to provide a unique perspective when advising clients in matters related to federal laws and regulations, including Title VII, the Americans With Disabilities Act, the Fair Labor Standards Act, the Family and Medical Leave Act, and more. He has assisted employers in responding to administrative charges, as well as in developing employment policies. Greg has extensive experience in representing clients in matters related to workers’ compensation. He has advised employers regarding premium payments, workforce audits, and responding to specific claims. He has represented clients both in the Bureau of Workers’ Compensation administrative hearings, as well as in the Court of Common Pleas. Prior to joining KMK Law, Greg served as Counsel for the House of Representatives Committee on Small Business for Chairman Steve Chabot, where he arranged Congressional hearings, advised the Chairman and Member offices on issues impacting small businesses, and coordinated with Committee and Leadership staff on moving legislation through Congress. His experience includes matters relating to government contracting, entrepreneurial development, capital access and lending, and programs administered by the Small Business Administration. Prior to that, Greg served as Associate Counsel for Speaker of the House John Boehner and Speaker of the House Paul Ryan, where he advised the Speakers and their staffs on compliance with House ethics rules as well as other legal and political matters affecting the Speaker as a constitutional officer and the House of Representatives as an institution.